There are many ways in which one can be injured on the job or at the workplace. Regardless of how an employee is hurt, with workers' compensation, the employee can receive benefits, as it is a "no-fault" system. However, if the work accident involved a third-party other than the employer, then the injured employee may also be able to file a claim against the at-fault third-party in addition to a workers' compensation claim. Some examples of third-party cases may include injuries related to an action of the property owner, a sub-contractor mistake, or an equipment malfunction work injury. In the case of an equipment malfunction work injury, the manufacturer of the equipment would be considered the third-party. If an employee is injured at work using the equipment, they can open a civil case against the equipment's manufacturer, in addition (or instead of) filing a workers' compensation claim. Like any work-related injury, an equipment malfunction injury can cause a number of physical damages and financial losses. Equipment malfunction work injuries can be amongst the most dangerous depending on the equipment. Anything from dismemberment, burns, broken bones, neurological damage, paralysis, cuts, or even wrongful death can occur when using equipment or machinery at work. When an employee suffers an equipment malfunction work injury, he or she also might be unable to work for a period of time, resulting in loss of wages and/or loss of job in addition to their medical expenses. It can be detrimental to the employee and any family they may be responsible for. Workers' compensation lawyers know how dangerous equipment malfunction work injuries can be. 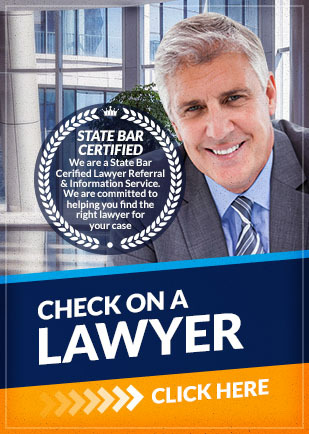 They also are experienced in third-party claims and cases. An attorney will be able to assess your situation if you have been in an equipment malfunction accident and can help you through both a third-party claim and a workersÃƒÂ¢Ã¢â€šÂ¬Ã¢â€žÂ¢ compensation claim. Filing for both types of claims may be complicated and your employer may lead you to believe you have to forfeit your workers' compensation if you file a third party claim. Thus, it is important to speak with an attorney immediately if you have suffered an equipment malfunction work injury. Skilled attorneys will help you understand your legal options and will fight for your rights to recover as much damages as possible. Attorney Search Network can help you find a workers' compensation lawyer to deal with your equipment malfunction work injury. A workers' compensation lawyer can thoroughly review your case and help you get the compensation you deserve for recovery. Although most workers' compensation attorneys also can represent 3rd party cases, not every workers' compensation attorneys does. A Lawyer Referral Service will ensure you are referred to an attorney with the proper case experience to handle both your 3rd party case and/or your workers' compensation case.